Home / Digital Marketing / To Opt-In or to Opt-Out? To Opt-In or to Opt-Out? Opt-in and opt-out forms determine how your audience consents to receive your email campaigns. It is critical to understand how this process happens. In this day and age, you can no longer ignore how you generate your email lists. If you do choose to ignore this process, you risk getting slapped with fines and risk jeopardizing your business through noncompliance with consumer privacy laws. Do you know the difference between opt-in forms and opt-out forms? If not, this article is for you. Gathering data through opt-in methods allows the user to actively control when they receive more information. By default, they do not receive correspondence from your business, but they can if they decide they want to. This type of consent form is standard in the European Union and Canada as directed by their consumer privacy laws and regulations. Opt-out methods use settings that automatically subscribe visitors to your mailing list. This is a faster and often more efficient way of growing your email list. This type of consent form is more standard in the United States. For many people, opt-out forms might seem like the obvious choice for growing your email list. 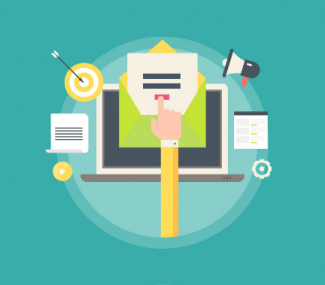 You can subscribe all leads to your email list, which can cause it to grow quickly. This ensures that your entire audience sees your email marketing, creating more success for your company as it expands. Forrester Research found that only 18% of customers respond to opt-in or opt-out requests, regardless of how it is presented on a form. These findings mean that you can either correspond with 18% of customers that choose to opt-in or 82% who did not decide to opt-out. Another study found that open rates were 82% higher for opt-in forms than for opt-out forms. Click through rates were also 140% higher for businesses that used opt-in forms rather than those who used opt-out forms. 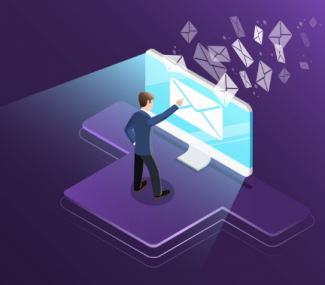 This means that people prefer to be in control of the type of emails they receive and respond to them more frequently than emails they did not choose to sign up for. Based on this information, opt-in forms are the better approach to take to build your email list. Does your business interact with a global audience? Does it plan to expand to an international market in the future? If you answered yes to either of these questions, then it is important to keep in mind the varying consumer privacy regulations for foreign nations. In the European Union (EU), GDPR dictates the way users can opt-in to receiving email marketing. It is mandatory to acquire the informed consent of users before adding them to your email list. GDPR states that obtaining consent must be a two-part process that involves informing the user and obtaining verifiable consent through affirmative action. Opt-out forms are forbidden in the EU. You cannot use pre-checked boxes as a way to gain consent for email correspondence with European Union consumers. Instead, GDPR states that the preferred method is to have users take direct affirmative action to indicate consent for marketing correspondence with your business. Clearly state the types of emails they will receive from your business. Use specific, straightforward and concise language. Your users should not be confused about what they are signing up for. Show that signing up for email correspondence is optional. Use double opt-in procedures to validate an email address before adding it to your email list. Double opt-in procedures require users to confirm they signed up for an email list. 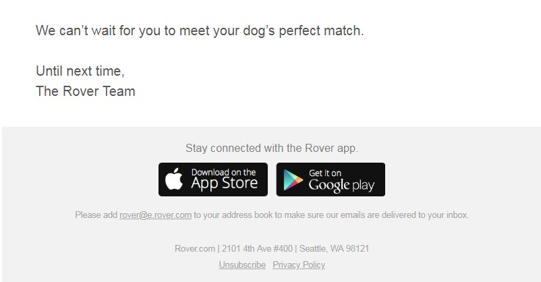 Validation takes place when users click on a specific link in a confirmation message sent to their email address. This method ensures that the person who signed up for email correspondence actually is the person who owns the email. This maintains the integrity of your email list and is considered a best practice in the Europe Union. Sometimes marketers create downloadable eBooks or PDFs for download. These materials are typically created to capture emails in order for users to download the eBook or PDF. This type of email gathering is still allowed, but automatically adding these emails to your newsletter list, for example, is not. You must also acquire consent for the specific type of content you send in your email campaigns. If a user subscribes to your newsletter list, that does not mean they should automatically receive promotional material as well. In order to send these users promotional materials, GDPR states that additional consent must be obtained. Fail to meet these standards for EU consumers, and risk hefty fines. If your business is found as non-compliant with GDPR, the fines can reach tens of thousands to millions of dollars. Sanctions can also be implemented along with periodic data protection audits and liability damages. Users are given the right to file complaints with supervisory authorities under GDPR if they feel as though a violation is taking place. If your business is found guilty of processing user data in a noncompliant way, not only will fines be imposed, but you may be forbidden to use the data you acquired in that way. Your whole data list may be compromised if you acquire emails without following GDPR regulations. No matter what approach you take to build your email list, an easy unsubscribe option must be present in all your email campaigns. Click here to change your email preferences or if you longer wish to receive emails from us you can click here to unsubscribe. If a subscriber wants to be removed from your list, their request must be processed in a timely manner. Businesses should honor a subscriber’s wishes and remove them from email correspondence within 10 days of the request. Be aware that email service providers can automate this process for your business as your email list grows in size. 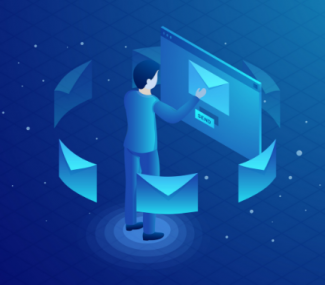 FrescoData not only provides you with premium quality email lists, but it also can manage the success of your marketing campaigns. Our global database contains over 3.5 billion users and is always growing. These users are obtained in compliance with national consumer privacy laws, such as the notable GDPR in the EU. We can ensure a 99% inbox landing deliverability through our campaign management. This is done through effective segmentation to empower your target customers effectively. FrescoData provides email marketing list services with one of the highest click-throughs in the industry. Our services have the potential to transform your business into a profitable venture.